and then i thought some more. lately i’ve been running into some people at random places who read this little blog. some i know, some i don’t. the majority of the time it will be when i’m in my sweats and my hair is a mess. (you know, like those times you go to the store a mess ’cause you know no one will be there. and sure enough, you run into every one you know!) anywho, it really brought me to thinking about being a living example of God’s grace and love. sometimes (for me) this is easier said than done. we do not know who is watching us when we are in our schools, in our workplace, in our neighborhoods, or even in our homes. maybe even in the car next to us on the highway ;) our testimonies mean more than we know. i pray that we live our lives so differently than others around us. not in an arrogant sort of way, but in a way that brings glory to our Savior. we are to be the breath of God. every where we go. with the people we talk to, the people that we meet. we don’t have to be a missionary to reach out to those around us. it can be the guy behind the counter at the grocery store who may need a word of encouragement. maybe it’s a friend you don’t talk to anymore. 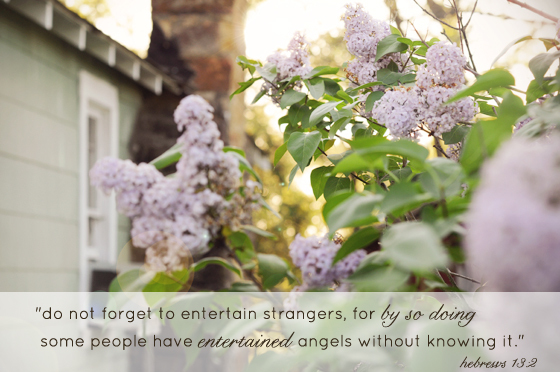 others are watching to see how we, as Christians live our lives. Blog hopping today and came across yours…. 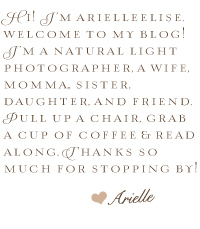 Your photography is beautiful and your blog is very creative! “We don’t have to be a missionary to reach out to those around us” – I loved that part. It’s so true. I’ve run into more people that read mine too. I never knew these people would be interested! It was a blessing and a challenge – just like you described. Thanks for sharing this girl! I’ve been following your blog for about a month and I just wanted to reach out and say thank you. Your blog is a wonderful reminder a God’s simple love and how life is supposed to be. Your blog posts are beautifully honest and I really enjoy being surround by my christian family even if its through the web. Thank you! So I literally got chills reading this. I absolutely love it, especially the verse in Hebrews. Thanks so much for your inspiration & sharing what God lays on your heart with us! Thanks for the beautiful encouragement! seriously just love your posts! so inspiring. Thank you!! 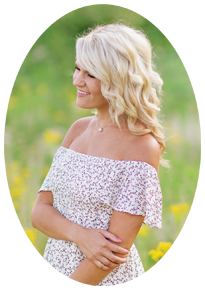 I love your bloggy so much! Too darling and the photos are fabulous. Wow, your blog is absolutely WONDERFUL. Your photos, blog design, writing is so beautiful. Definitely following. 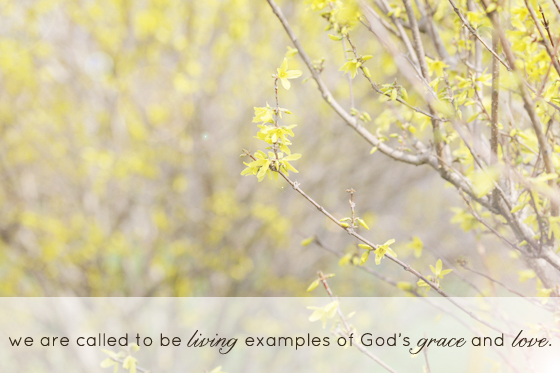 I totally agree that it is so important to be an example of Christ anywhere you go and at any time. At this day and age, people who strive to live Christlike lives are quite rare and somewhat unusual – people are definitely watching us. I was just thinking the other day about a documentary I saw with Rich Mullins. I so loved Rich Mullins. ( still do) In it he was talking about having been on a train I think in Amsterdam, and he had been sharing with Beaker something he was really struggling with, and all of a sudden, someone on the train turned to him and said, “Are you Rich Mullins?” Here he was in Europe, thinking know one would know him, so he had been sharing freely. He sat there, and had to think back on everything he had just been discussing. Also, this fish mention in your post made me think of a friend of mine who said she would rather not pray before meals at restaurants. When I asked her why, she said it was because she would hate it if something bad/unpleasant happened, and she got mad at the waiter, and would give Christians a bad rap. Our walk with Christ isn’t a performance, it’s a relationship. We still are who we are, and God’s grace is visible in who we are, and not who we pretend to be. I would rather be real, and flawed, and striving to be like Christ, than someone who has it all together, or who is loudly professing to be a Christ follower, but is doing more damage than good. I am so thankful for your honesty in this post, because I’m sure it is exactly how many people feel. What I have gone to time and time again, is the fruit. By fruit, I mean fruit of the spirit. If there are visible signs of fruit in one’s life, it is a sign of a genuine walk with Christ. You have fruit darling, and just like this post shows you are pointing people to Him, and that is what really matters. such a wonderful thought provoking post. We never know who is watching us during our daily ins and outs…but, one thing I do know…we might be the ONLY Jesus someone sees today! Shine your light! This is beautiful! I just had a conversation about this with a gal pal of mine. It’s so important to always exemplify the teachings of Christ. As woman of faith, it can be challenging to try to walk that narrow path, but it’s so much sweeter. Reminds me of a quote “Integrity is doing the right thing, even when no one is watching”. as usual, i totally and completely 100% agree with you. our church is doing a series on ‘living dangerously’ and it fits right in with this. love everything you have to say! loved this! so, so true. people know we are different by simply living a higher standard and through kindness. it’s the day to day stuff that sets us apart. Well said! This is a great reminder. This is so true Arielle! I am always thinking this when I really just want to “slack”. I don’t want to clean my table after I eat sometimes at a restaurant, or stay after church and speak to anyone, or be kind to customers who cuss or yell at me. I don’t want to do those things and I sometimes go as far as to tell God in those situations MY SIDE and let Him know WHY I should or shouldn’t do the aforementioned things. It is great though to listen and obey His spirit within me and have peace no matter what extra step I had to take or what I had to hold back and keep to myself. It always feels so much better to just OBEY. Though it be a struggle HIS STRENGTH IS SUFFICIENT IN OUR WEAKNESS RIGHT? thank you for this one. I needed a boost in the obedience department. Hebrews 13:2 verse is one of my favourites! I have been feeling the exact same things lately! Vince and I have started working with teenasgers in a local youth group and their lives are always on my mind. I’m feeling more mindful of what I do, how I dress, what I say, and how I interact with my boyfriend lately because I want to set a good example for them. But really, we should do that always because the world is watching us! Great reminder, thank you! What a wonderful post. I believe this with all my heart. and of course beautiful pictures…you want to fly to California and teach me? Thanks for posting this. I have been thinking about these things a whole lot lately. Being a living example is so hard some times, it requires tough choices and sacrifices. It is good to know we are not alone in this, though. Thanks again for posting this; happy day! I LOVE that verse in Hebrews. One of my all-time favorites and such a beautiful reminder! but more importantly, your heart is beautiful! Thanks for being a woman after His own heart — what a great example. Oops baby cut me off ;) So true and something to remember daily! I have gotten plenty of teasing from friends and family for being so picky about movies and music, but it is important to me. amen! i totally agree emily :) what an awesome way to put it! thank you for the encouragement hannah :) it is definitely hard…amen! it’s a fight but for His glory. thanks jessica! and i have never been to california so…yes ;) haha! i so agree! we help out with youth as well and it really does make you think again about what you say and how you act because they really do look up to you. so true :) blessings scout! amen cheche…preach it girl! :) there are times when i am rude to customer service and then i’m like “why did i just act like that! !” haha. i so agree! definitely on the “blogosphere” i can get so easily caught up in appearance and perfectionism which is just silly. “As woman of faith, it can be challenging to try to walk that narrow path, but it’s so much sweeter.” …amen! :) definitely agree. wow…the rich mullins story is awesome….thank you so much for sharing! …thank you so much paige :) i just want to glorify Christ in my everyday life…not always easy He’s worthy. i grew up around an lds family and i love them all so much, one of the sweetest families i’ve ever known! p.s. i’m looking forward to your new blog!! Love this! So, so true! I’ve been following your blog for a few weeks now and I just want to let you know how inspiring you are as a person and a Christian. You are a wonderful example who is beautiful inside and out. thanks for sharing your faith…and pretty pics! !